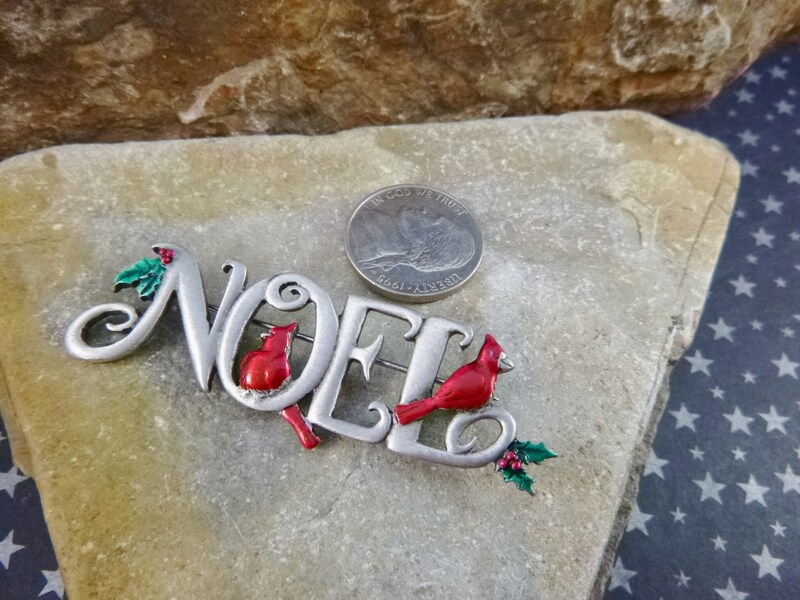 On the back of this pewter brooch is the maker’s mark “© JJ” in a cabochon, a copyright designation of the Jonette Jewelry company. 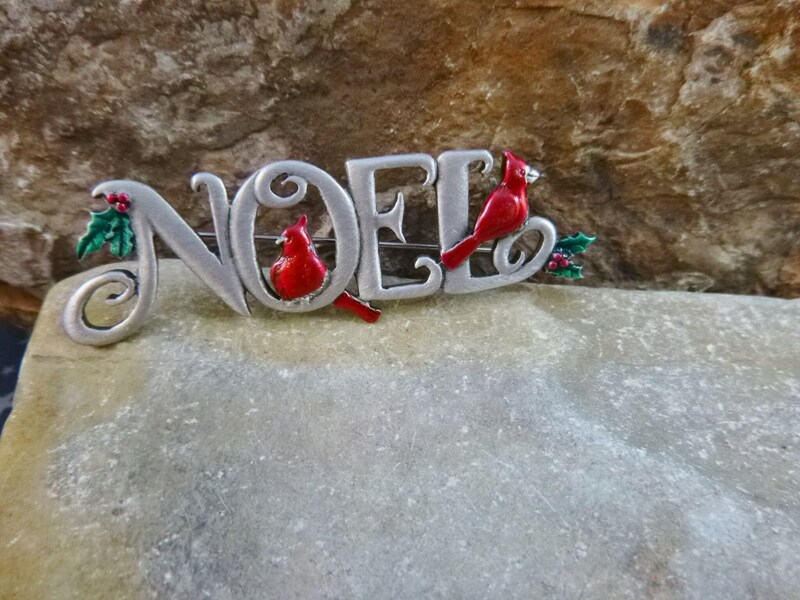 That mark was used beginning in the l980s. 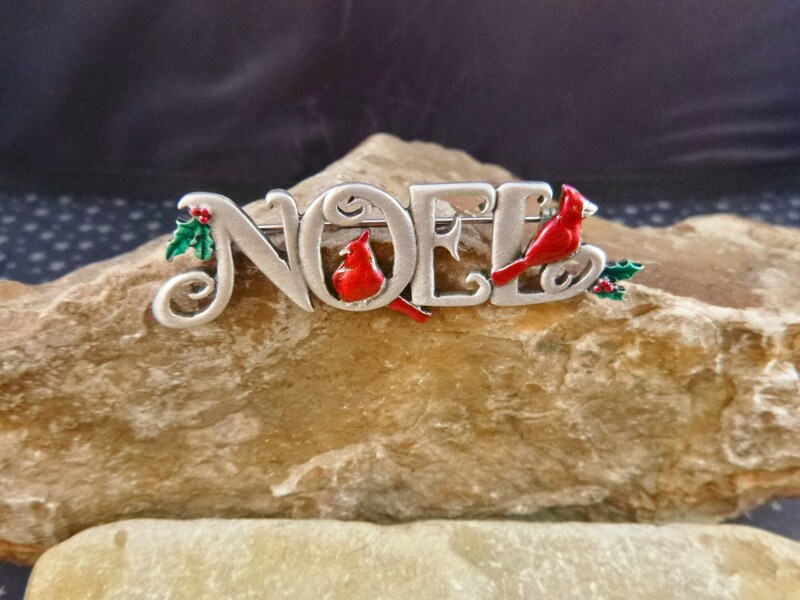 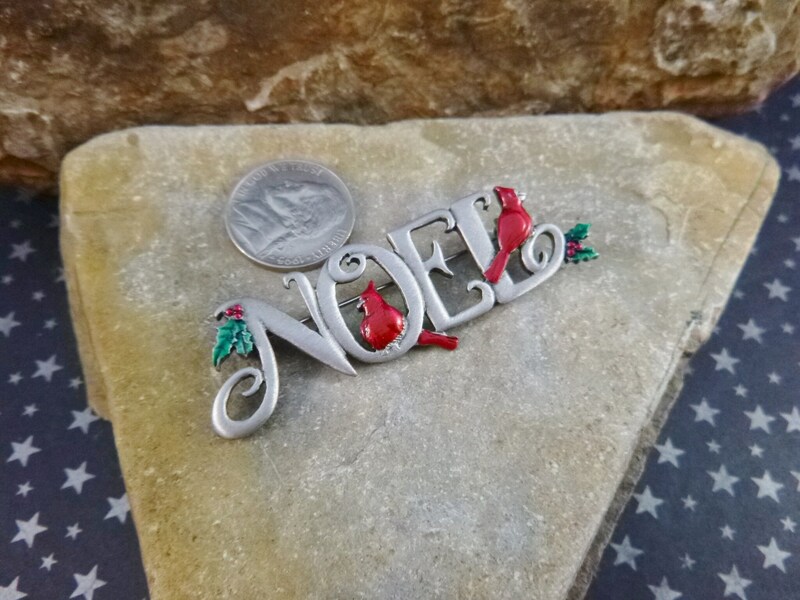 This timeless Christmas pin is in very good vintage condition with an open script design. 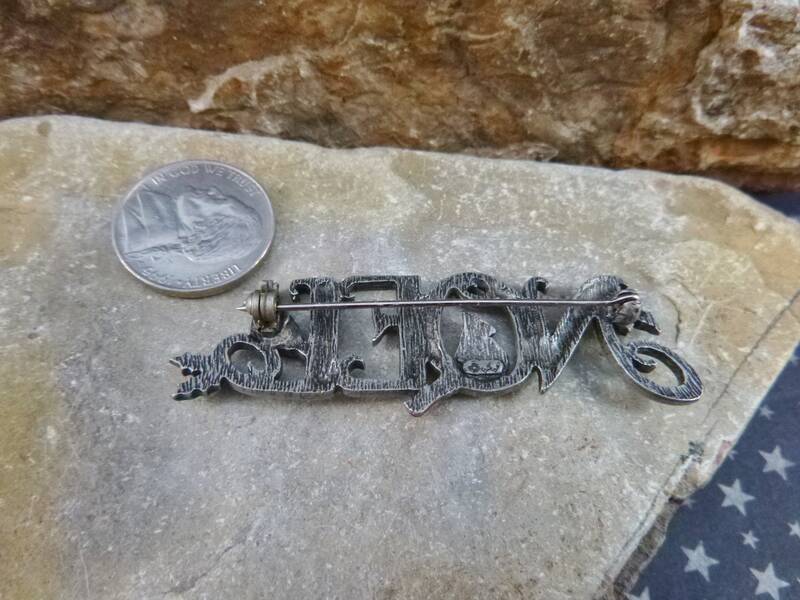 The pin measures 2.5” long and .75” wide. 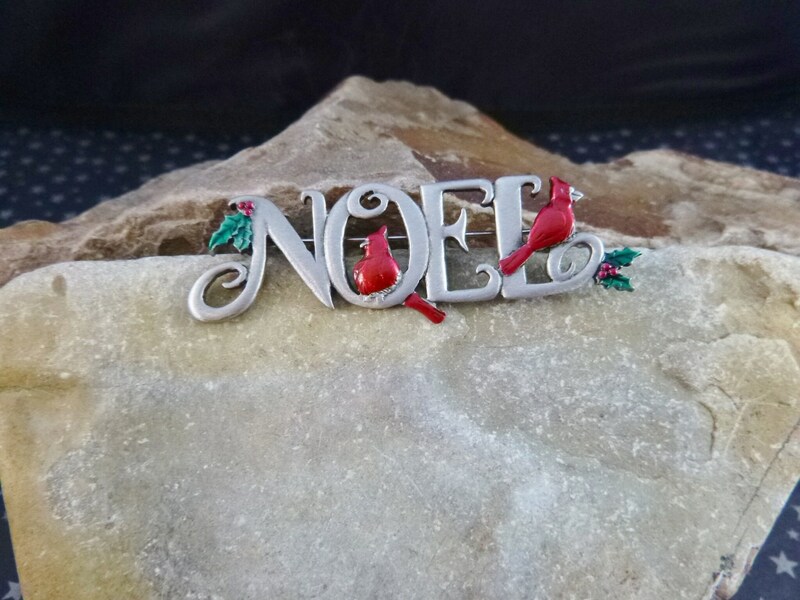 The pictures offer more perspective about the condition and charm of this lovely vintage Christmas brooch.